Many of life’s important decisions, whether for personal or business use, are done today DIY legal style (Do It Yourself). DIY Legal documents created between individuals to facilitate a transaction do not always need an attorney or to be prepared by an attorney. What they do need is to be legal, easy to understand, and have the ability to hold up in a court of law. A very important detail in most legal documents between two parties is to have the official name, address and contact information of both parties; the document must meet basic legal criteria (and sometimes very specific criteria which is stated in a statute or regulation); the DIY person may or may not be familiar with that criteria. Often the marital status of a party must be identified; a simple yet basic criteria often overlooked by the DIY person; and one that can create much problem later when it is omitted. Be cautious and use good resources! What you may think is “reasonable” may not always be “legal”. Power of Attorney- A POA (for yourself) grants authority to another person to act for you in legal matters, if you become incapacitated; it must be executed prior to incapacity. 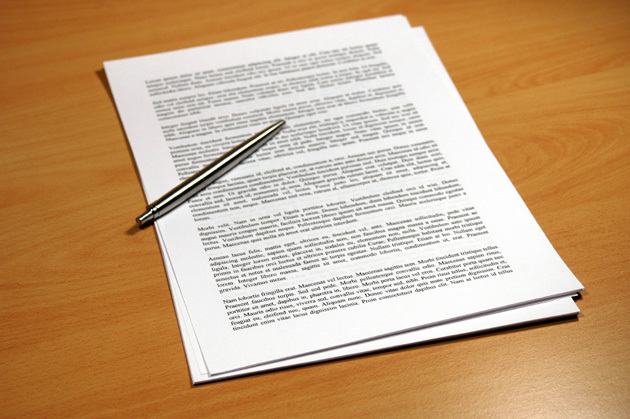 A properly drafted power of attorney may preclude the need for court action, if you do become incapacitated, saving substantial legal expense and invasion of privacy by court intervention. Health Care Proxy- Also known as a “health care surrogate” or “durable power of attorney,” allows you to appoint an agent to make health care decisions if you are not able to make them yourself. Generally, a health care proxy is a next of kin, a spouse or child, but anyone can be appointed. It is best to choose someone close and readily available to make decisions. However, it is possible to appoint a person who lives at a distance; with telephone and technologies, the communications between physicians, hospitals and agents can be managed. Living Will- Also known as a “Do Not Resuscitate Directive” helps clarify your health care desires to family members and medical professionals. A free Living Will form, valid in the state of Arizona, can be found here. https://azlegalformlibrary.com/Library/living-will/ Laws about these critical documents vary from state to state. Last Will and Testament- This statement formally declares what you would like done with your possessions upon your death and must be executed in conformity with state law. Other legal documents needed in the DIY community are: deeds, promissory notes, small estate affidavits or even revocation documents. These and many other documents for personal use and for business transactions, specific to the state of Arizona, can be found on our site https://azlegalformlibrary.com/Library/. If you’re not sure of which document is best for your situation, use our incredibly intuitive form finder https://azlegalformlibrary.com/Library/findform/findform.php to narrow down your search. Visit us @ https://azlegalformlibrary.com/Library/ today!